Temerloh express bus terminal located at Taman Kenangan, Temerloh. Location Map of Temerloh Express Bus Terminal. mcm mne sy nk dptkan prkhidmatab bas dri seberang temerloh ke bandar temerloh ? ada bas dari temerloh ke hentian duta? No, bus from Temerloh only stop at Pekeliling station. You may use RapidKL U618 from Titiwangsa LRT station (opposite Pekeliling) to Hentian Duta. bleh x klau ambil bas yg jadualnye dari kuantan ke shah alam yang singgah di temerloh? boleh tempat tiket awal? online ke? Yes you can. You can refer to the Express Bus Booking Site links on our web. You can locate it at the right bottom column. ada tak bas dari temerloh ke gombak?? The bus will stop at city centre, you can use LRT to Gombak. You may check with Mahligai Express because they may have service to Gombak but not sure whether is from Temerloh. 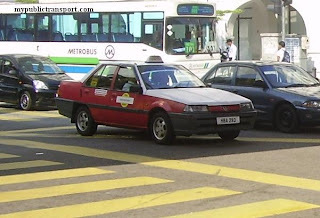 kalau saya nak balik dari kl ker temerloh saya boleh naik kat tbs ker x? No. You can only take the bus from Pekeliling station. This time table still use for Mac 2013? Yes we always make changes to the timetable. However, sometimes changes happen before we manage to change the information. So always refer to the bus operator for latest detail. So, for Temerloh - Raub just have RAUB on 10.30AM 5.00PM ya? Yes, only 10.30am and 5.00pm by Transnasional. got bus to singapura ?? No, you need to get to KL or Kuantan for such service. Which section 17 do you mean? You can use RapidKL T529 from Shah Alam KTM station to Section 17 Shah Alam bus terminal. Got Bus from Seremban to Temerloh?? No. However there is bus to go Kuala Lipis, maybe you can check on the bus company on our booking tool for more detail whether they stop at Temerloh. Hi, you can use the booking tool on our site. Sorry we do not have the contact number. salam..bas dari temerloh ke kuala pilah paling lewat pukul berapa? 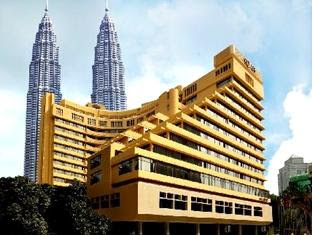 Hi, please check using the booking tool in our site. Did you have a daily trip to sungai petani?if you do..what time the bus will depart from temerloh to sungai petani...? Please check the schedule using the booking tool on the site. salam... ada tak bas ekspress dari temerloh ke kuala besut atau jertih? 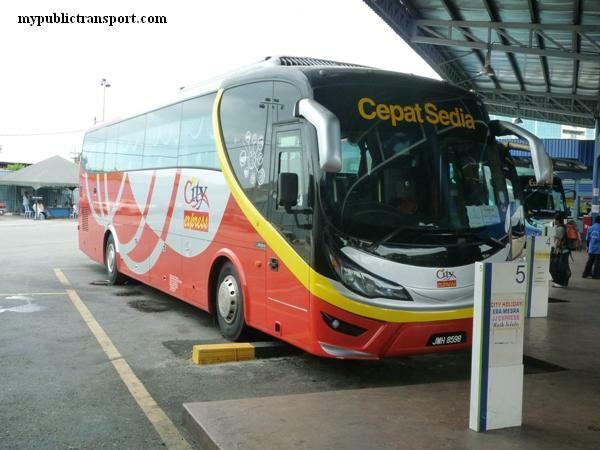 did you have daily trip to TBS (KL) or Batu Pahat (Johor)? mcm mne nk tmpah tiket awal ye?? 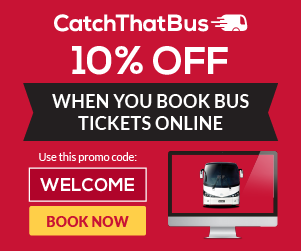 hi, you can use the bus ticket booking tool on our site. Dari pada temerloh nak pergi muadzam shah ade ke tak? may i know which bus travels from temerloh to kluang or any nearby city ? Hi, you can use Cepat Express. Bas Temerloh-jb malam ade x? Hi, you can take Cepat dan Cekap Express. bas dr kampar ke temerlohn ada pkul bapa yer? lalu jlan mana?masuk kl or lalu ikut genting? tq. Hi, you can check using booking tool on top of our site. bas dari temerloh ke seremban xdek ke?? Hi, there is no such service. hye...got bus from temerloh to sh alam? Hi, you can take Union bus from Temerloh to Pekeliling station, then take Monorail to KL Sentral, last take RapidkL U80 or KTM to Shah ALam. bas south union dari temerloh ke terminal larkin jb pukul berapa? Bas dari temerloh ke bahau ada sangkut x untuk esok? Hi, bas dari temerloh ke johor bahru dah mula beroperasi ke sekarang? bas transnasional dari temerloh ke kuantan dah beroperasi ke ? Hi, please check with Transnasional regarding this. Ada ape bas dari temerloh to Larkin jb ? bas apa ke seremban dari gombak ? Hi, you can take LRT from Gombak to Pasar Seni, then take SKS Seremban bus from Puduraya to Seremban. ada bas daripada temerloh ke terminal kajang? Cepat Express at 4pm. You can check using the booking tool on our site. Ada bas untuk pagi esok dari temerloh ke pekeliling? Hi, there is always has Central Pahang bus from Temerloh to Pekeliling. Hi, there is local bus from Temerloh to Triang but we not sure about the details. hallo can i know tiket to temerloh from pekeliling always available or what? ?coz i from kajang then i take ktm too pekeliling..im scared if tiket sold out.. and how about time??tq.. Most of the time it is available. It is provided by the Temerloh KL Express Bus. Do u have bus from temerloh to rompin? Hi, usually the bus from Temerloh to Mersing will pass by Rompin. There is no bus directly to Rompin town. You can check using the booking tool on our site for Temerloh to town nearby to Rompin. Ad bas dri temerloh to penang ? Hi, you can take Utama Express. mcm mne nk booking tiket bas dari pekeliling ke temerloh yea? Hi, you can directly go to Pekeliling station and buy the ticket from Central Pahang bus. The bus ticket cannot be booked online if not mistaken. Bas terakhir dr pekeliling ke temerloh pkul berape ye? Hi . Bas melaka ke temerloh ada selalu tak ? 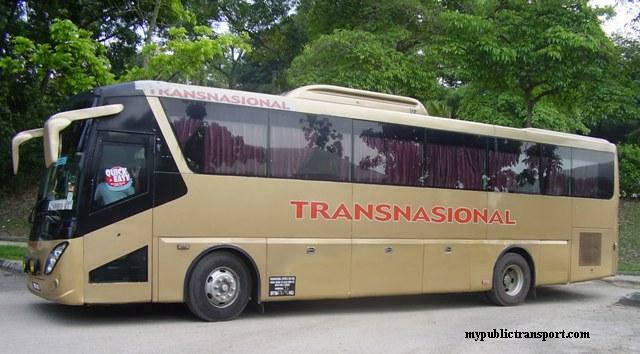 Yes,Transnasional provides the service daily. You can get the ticket from the booking tool from our site. Hi. Bas dari temerloh ke putrajaya ada x? Kalau ada, bas apa dan pukul berapa ya? Hi, you need to take express bus from Temerloh to TBS, then take KLIA Transit to Putrajaya. Hi...are there any buses from temerloh to kl tonight? 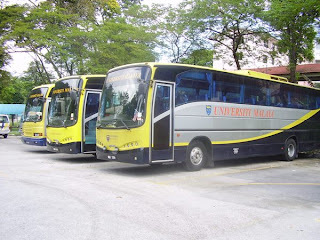 Hi, bus from Temerloh to KL is always available by Union and Central Pahang. Hi. Can I ask whether the Cepat Express is still operating? Which bus can I take to go to segamat? Yes, they are still operating and from Temerloh to Segamat there is only Cepat Express. You can get the ticket from our booking tool. Hi, you need to from temerloh to KL, then only KL to Seremban. You can book the ticket using the booking tool on our site. temerloh to tanjung malim? so which bas should i pick? time? Hi. 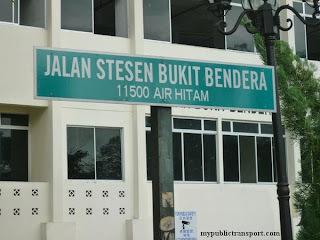 Is there any bus from temerloh to bandar pusat Jengka? Hi, you can take Jengka Liner. Hi, can i take a bus from temerloh to kangar? 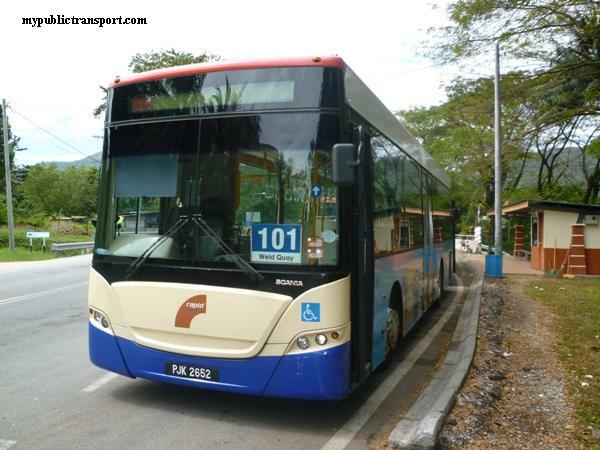 Currently there is no direct express bus from Temerloh to Kangar, you need to go to KL before heading to Kangar. Bas dari kl ke temerloh yang paling lewat pkul bpew? bas dari pekeliling ke temerloh xde bas malam ker? 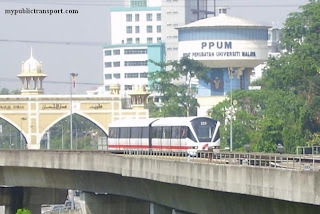 Hi, you can take RapidKL U429 or Nadi J02 to Putrajaya Sentral, then take KLIA transit to KL Sentral, from KL Sentral, you can take Monorail to Titiwangsa Station, Tun Razak bus terminal (previously known as Pekeliling) is near to the monorail station. There is no night bus from KL to Temerloh. Hi, sorry there is no direct bus between Temerloh and Jitra. Bus temerloh direct to melaka why have this sign (?) ? Hi, sorry for the confusion, please ignore the question mark. Hi, there is no direct bus between Seremban and temerloh. Saya nak cari tiket temerloh-sintok. Saya try booking tool tu, tapi utk destinasi ke Kedah tak ada. Apa patut saya buat ya? Hi, you'll need to go to Tun Razak bus terminal for buses to Temerloh. You can take LRT from Tasik Selatan to Titiwangsa. 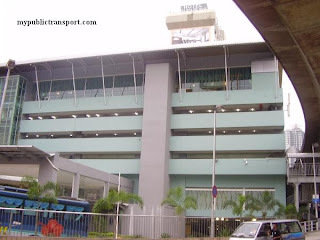 Tun Razak Terminal is beside the LRT station. Hi, you need to take a express bus to Alor Star, then only use the local bus to Sintok. There is no direct service from Temerloh to Sintok. Is there any bus to triang? Bas temerloh ke kl plg lewat jam berapa??? The last bus is from 6.00pm. Hi,may i know how to take bus to go klia2 from temerloh?what is the time of first bus?my bus is 9.45am,do u think that i should go one day early? Hi, you can take Temerloh-KL Express to Pekeliling, then take LRT from Titiwangsa station to Tasik Selatan, then you can choose to take KLIA Transit or Jetbus to KLIA2. You need to go one day earlier. How about from klia 2 or klia to temerloh?is there any bus can go direct to temerloh ? Hi, you need to take KLIA transit or Airport shuttle bus to KL Sentral, then take Monorail to Titiwangsa and take Express bus from Pekeliling to Temerloh. Hi. Nak tanya . Kalau tiket online dari temerloh ke tanjung malim ada tak ? ke kena beli semasa ? Hi, you can try to check using the booking tool on our site. Hai.. Bas dari temerloh ke jengka ada tak? Hi, you can take Jengka Liner Express bus. Hi.bus dari temerloh ke JB. Ada ke?? Bus apa yg ada dari temerloh ke JB?? One more question. 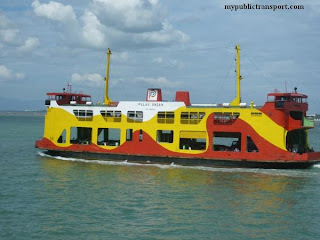 In pekeliling there are many bus going to Johor Bahru? 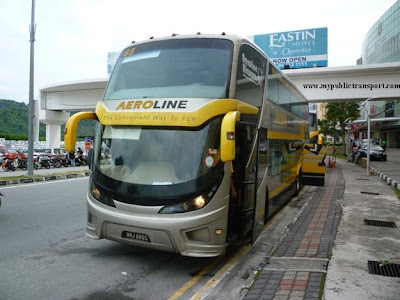 Hi, Pekeliling is mean for buses to Pahang only. From Temerloh you need to take express bus to Pekeliling, then take LRT to Tasek Selatan for buses to JB. Hi, there is Cepat Express. You can get the ticket from the booking tool from our site. hi. is there any bus which directly go to TBS? may I know which bus? Hi, TBS is not mean for bus from Temerloh. You can take LRT from Pekeling to TBS. Assalammualaikum .Stesen bas temerloh ke taiping ada kan . Bas temerloh tu terus ke taiping ke berhenti di stesen lain lain ? Respon please . Hi, you need to take a bus to KL before taking another bus to Taiping/Kamunting. Hi . Nak tanya . Bas ke Melaka Central memang pukul 5 ptg je eh ? Hi, it is better to take an express bus to Pekeliling, then take LRT to Tasek Selatan, there are more choices at Tasik Selatan to Melaka. Hi, for ticket price please check directly on our booking tool. Hi, you can take Maraliner, it available every night 11pm. If you want more service, just take Temerloh express to KL, then take LRT to Tasik Selatan, from Tasik Selatan, you can choose to take ETS, or express bus to Butterworth. Hi.. Nak tanya selain dari jadual di atas, ada x bas dari temerloh ke kemaman? Saya nk kirim parcel ke kemaman. Appreciate any advice from ur part. Hi, there is no direct bus from Temerloh to Kemaman. Hi, you can check with Jengka Liners. Hi, there is no or very less bus that go directly from Temerloh to Muar, you may need to go to Pekeliling and Tasek Selatan to transit. You can always get the ticket from the booking tool from our site. hi. is there any bus from temerloh to tanjung malim except at 11.00 am and 11.00 pm? Hi, there is no direct bus, you can take a bus to Pekeliling before transiting to Klang. Hai there... Ada tak bas dri segamat ke bandar pusat jengka? 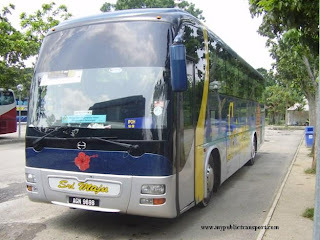 Hi its there any bus from bentong/ raub to triang? n what times? Hye, any bus from temerloh to kuala besut? Haii, ada tak bas dari temerloh ke taiping? Hi, you'll need to transit at Kuala Lumpur. Hai,ada tak bas dari klang sentral ke temerloh? Dan trip schedule dia mcm mana? Hi, you'll need to go to Pekeliling. Jadual ni masih di gunakan lagikan???? Can I ask for something ? I am from Serdang, want to go back to temerloh. 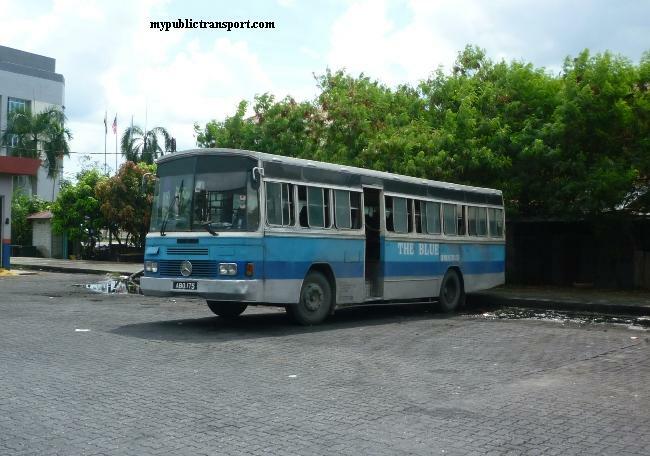 I know I have to take bus at pekeliling but is there any other choice? Can i take bus to Jengka from TBS? Or the bus did not passby Temerloh and go straight to Jengka. Hope for reply. Hi, you can only go to Pekeliling for Jengka Express. Hai. Bas mne dri temerloh ke muadzam shah? Hi, is there any available bus from temerloh to TBS? Hi, bus from Temerloh will only stop at Tun Razak Station(Pekeliling), you can then take LRT to Putra Height, and then take BET 15 to Cyberjaya. Hi, you can book using the booking tool on our site. Utk ke Kuala Terengganu dari Temerloh hanya Transnasional & waktu 9am & 9:30pm sahaja? hmm memang bas dari temerloh ke bentong ada dua waktu tu saja eh? 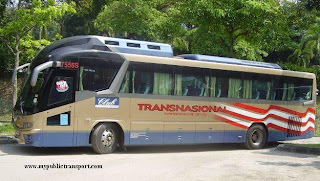 Hi, you can look for Central Pahang Express that serve stages bus there which will depart every 30minutes or 1 hour. Hi. Waktu operasi kaunter tiket sampai pukul berapa? Hi, can I know which part of Terrenganu are you from? Hi, yes you can take Ekonomy Express. Bus from Temerloh will stops at Pekeliling, you can then take LRT to Tasek Selatan. Salam, ada tak bus dari kuala lumpur to temerloh at tbs? Hi, you can go to Pekeliling for more choices. hi, dalam jadual ni takde yg dari temerloh ke pekeliling ke ? 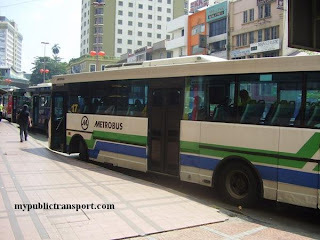 Hi, you can take Temerloh, Union or Metrobus Express, they are available every hour. Hi, you can take Jengka Express. Salam bas ke shah alam dri tmerloh ade x hari ini?? Hi, there is no trip found for this. Hi, there is no direct trip, you need to take KTM to KL for transit at Pekeliling. Hi, you can take express bus from Temerloh to Pekeliling, then take LRT to Masjid Jamek, then you can walk to Pasar Seni and take 700,701 or 710 to Klang. Hello admin ..ticket bus from temerloh to ipoh is available ? Yes, you can take Maraliner, you can get the ticket from the booking tool on our site.